From home staging, to home makeovers, to home updates - we are the leading source for your home design needs. We're dedicated to bringing you unparalleled expertise, professionalism and results. Sharon Sheets is the Founder and CEO of Staging With Style LLC, a staging and design company that services Baltimore County, City, and surrounding areas. Staging With Style LLC offers a variety of options to suit the client’s needs, including consultation, partial staging, paint color selection, and final walk-thru. Sharon uses her discerning eye, large inventory, and years of experience to present a house at its best advantage, allowing a potential buyer to better see the possibilities. When staging a home, Sharon can use her own inventory as well as incorporate the seller’s furniture into her design to give the space a universal appeal that greatly increases the property’s marketability. Sharon has a 90% success rate of property sales within three months of staging; including properties that spent months on the market prior to being staged (Many of the those properties selling within one week of staging!). Her past projects range from small townhouses to large estates, each staged individually to target its desired demographic. Sharon also offers interior design and renovation design services, ranging from accessorizing, to kitchen and bathroom updates, to full interior renovations. Sharon excels at creating custom color schemes - incorporating paint, fabric and artwork into a cohesive and coordinated design. She manages subcontractors and works closely with clients to realize designs that reflect their personal taste and are a pleasure to come home to. We are an Interior design business with specialties in Floor Planning, Color Consulting and Home Staging (typically staging increases the sell price by 10% and decreases the sell time by 15%.) We don't give cookie cutter solutions. Whether we are providing decorating services or staging a home to sell, homeowners are typically "blown away" by the re-designs we provide and delighted with how fast their home sells. Blue Stone Staging & Design Company - Staging to Sell / Designing to Live. We make homes stand out in the market and draws in potential buyers for a quick sale at top dollar. Whether you are a homeowner thinking about putting your home on the market or a realtor that wants to take their listings up a notch, Blue Stone can help create that homey feeling potential buyers want to feel when they walk through the front door. 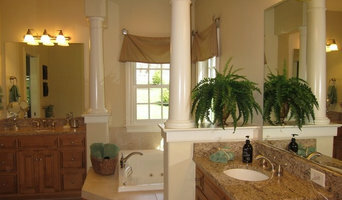 We also work with homeowners that want to elevate the design in their home, we have several design packages to offer. We look forward to helping you either way because we love what we do and love making spaces beautiful! Sue Kauffman & Company is here to serve you in a variety of ways. Our home staging expertise will guide you through the process of preparing your home for sale. From curb appeal to the basement, we will transform your property into a home that buyers will aspire to live in. Our staged homes sell quickly - vacant homes averaging 15 days on the market and occupied homes just a bit more. We create an atmosphere in which the buyer 'feels at home’ the moment they walk on the property. And when buyers feel at home on your property, that leads to a SOLD home! 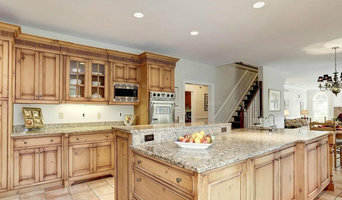 Interior Envisions wants to help you sell your home fast, for top dollar by professionally staging your home. Flaunting your homes best features by having it professionally staged is the first step in connecting buyers emotionally to your home and getting offers by helping them feel at home. What does a Chatham home stager do? 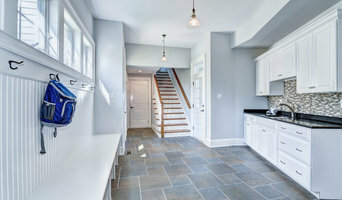 Home staging companies in Chatham, PA employ a variety of different techniques to present the home in the best light possible. The first step will likely be to make sure the home is impeccably clean, including the exterior of the house. Next the home stager will work on removing the personal touches that are unique to the current owners. Paint colors might go from dramatic reds and purples to neutral tones like beige and taupe, in order to appeal to the masses. The home will likely be cleared of family photos, risqué artwork, collections and knickknacks, so potential buyers will be able to better envision their own life in the house. In some cases furniture will be swapped out, and you might not even recognize your own house. Some Chatham home stagers tackle most of these tasks themselves, while others work with subcontractors and other professionals to get the job done. Here are some related professionals and vendors to complement the work of home stagers: Interior Designers & Decorators, Photographers, Real Estate Agents. The process of staging a home can be difficult for some homeowners, especially when being asked to change things you’ve poured your heart and soul into over the years; but try not to take anything personally, as the stager only has your best interest in mind and no intention of insulting your personal taste. 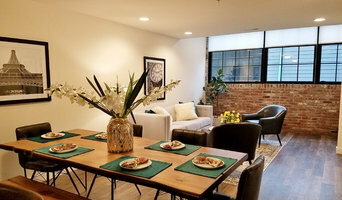 Before you contact a professional home staging company in Chatham, PA, make sure to consider a few things: Are you willing to change your home and take the advice of this professional to help sell your house? Do you think your house would greatly benefit from the help of a stager? How long are you comfortable having your home on the market? A staged home is likely to sell faster and, on occasion, at a higher asking price than a non-staged home. While there is no guarantee this will always be the case, it’s often true and can make the entire selling and moving process a lot less stressful in the long run. If you are selling through a real estate agent, it’s a good idea to get their opinion on whether staging your home would be beneficial to your specific situation. Find a certified Chatham home stager on Houzz. Narrow your search in the Professionals section of the website to Chatham, PA home stagers. You can also look through Chatham, PA photos by style to find a room you like, then contact the professional who staged it.